Transforming lives through the practice of yoga and the celebration of community. Great class. Clear and concise direction, with good flow. 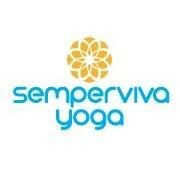 Great new instructor at Semperviva! Challenging but well thought out and taught class, plus Karen had a lovely, positive energy! Eoin created one of the warmest, most invited energies I've ever experienced in a yoga class. Great adjustments, constantly positive and relatable yoga theory throughout. I've never left a class feeling so welcomed. Not a class you'd want to deprive yourself of. this class isn't very consistent in its levels of difficulty. I have attended 3 different instructors and had very different experiences ranging from moderate to high difficulty. Stephanie leads such a challenging class but is so supportive! She makes you feel strong and confident to push you to your ultimate best. Honestly one of the best classes I have been to!